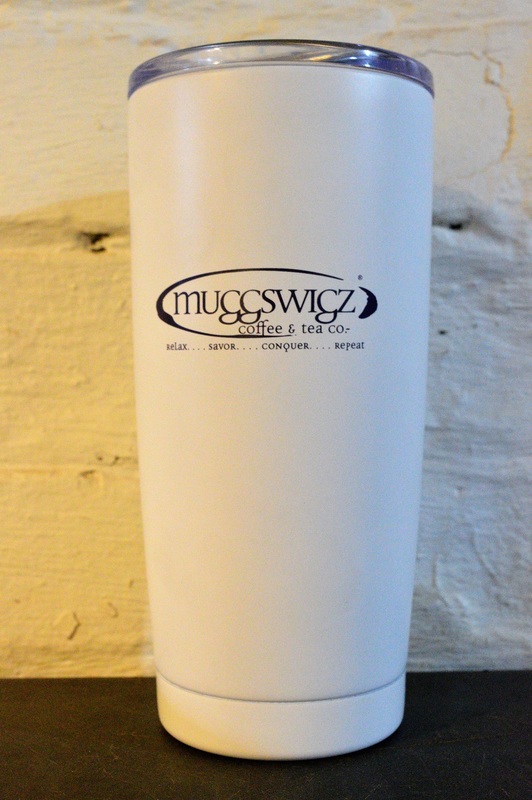 White 20oz metal travel tumbler with Muggswigz logo. • Rugged 20 oz. tumbler made from high-quality stainless steel inside and out. • Keeps liquids hot for 5.5 hours and cold for 24 hours. • BPA-free, double wall vacuum sealed with high tech copper lining. • Clear, drink through press-in lid with silicone seal.